BGES is committed to maintain the highest health and safety standards in its business and operations to protect its employees, contractors, customers, the public and the environment. We believe that all occupational injury, illness, property damage and environmental incidents are preventable through proactive management of risks and hazards. BGES has a thorough and effective safety program that meets or exceeds the requirements of third party compliance agencies. 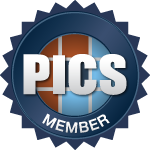 Leaders in the industry of third party compliance confirmation include ISNetworld, ComplyWorks, and the PICS Consortium – of which BGES is registered with all three agencies. 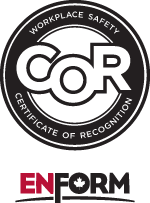 Additionally, we are members of PSAC and have been awarded a Certificate of Recognition (COR) as a Partner in Injury Reduction through Enform, the Safety Association for Canada’s Upstream Oil and Gas Industry.